Last year I was lucky enough to attend Museums and the Web in Baltimore – it was a fantastic conference in terms of the diverse and relevant nature of the content, networking with colleagues from both sides of the Atlantic, and having some time out of the office and away from the day to day deadlines to think about our strategic direction. This year the conference will be in Chicago in April, and I have pitched to participate myself, and was thrilled to have my paper accepted. It is called Mobile Bouleversement (yes a word I googled to try and make the title sound interesting and which I am dreading pronouncing come the day) and is about our forced mobile transformation over the last 6 months. 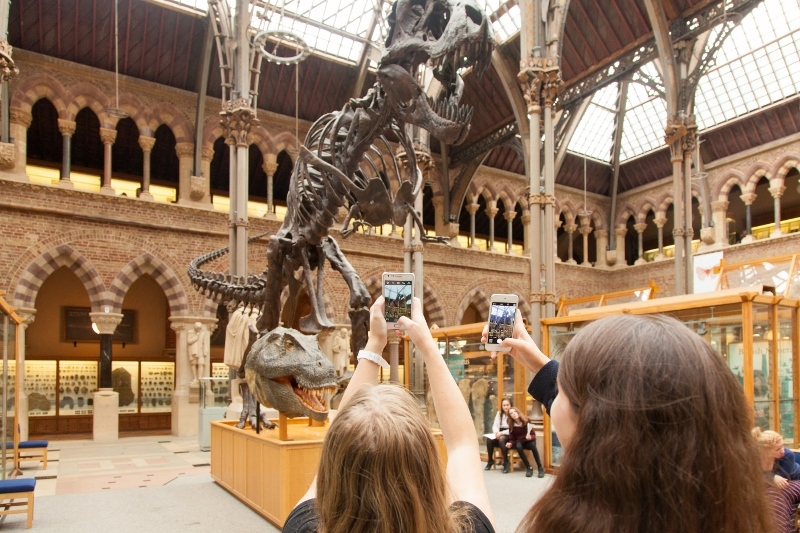 Back in the summer we were gratefully granted significant funds by Oxford City Council as part of the Superconnected Oxford programme to introduce public Wi-Fi in our museums (their funding is through Broadband UK and the Oxfordshire Local Enterprise Partnership) which we will be launching on 24 March 2015. This was a very short timescale for delivery and represented a massive challenge – including installing over 100 new Wi-Fi Access Points in the public spaces in our Grade I listed buildings, upgrading our network infrastructure, and lots of debates with legal services to get the service in place; perhaps I will blog about it when it is all over and I can laugh. Despite the trials, we are extremely pleased to be able to offer the new service and grateful for the funding and support from the City Council, but it also presented us with another problem – how will people use the Wi-Fi. Previously this has not been an area we have committed too much attention to, since the buildings with their thick stone walls are deadzones for mobile coverage, and of course we had no Wi-Fi, but this was about to change. So what I look at in my paper, and will be talking about at the conference is how we approached developing some mobile content within this short deadline, creating a ‘minimum level service’ to provide all the basic services we think our users will need, like What’s On and Floorplans, and also our experiments to provide something a little bit more exciting to our onsite visitors. You can read my full written paper on the Museums and the Web 2015 website here, though my talk in Chicago will be very different, since many of the things underway in January when I wrote the paper will be complete in April when I present, so I hope to have lots more to share then. This entry was posted on March 1, 2015 by Jessica Suess in Museums.